I’m quickly coming to love Griffin’s new “Magicals Anonymous” series just as much as her Matthew Swift books – and the effect is only bolstered when Swift plays a major role. (I mean, who doesn’t love a man possessed by the gods of the telephone system?) But this time, Swift (the Midnight Mayor, mystical protector of a magical London, etc) is in a new position: he’s the victim. In fact, he’s disappeared. And Sharon Li, urban shaman, magical community support officer, and newly appointed deputy Midnight Mayor (which even she isn’t sure is a thing), has been given the job of sorting things out. With people disappearing and leaving their shoes behind across the city, and her only clue an umbrella, it’s going to be a hard job. …And an amazing one to read about. 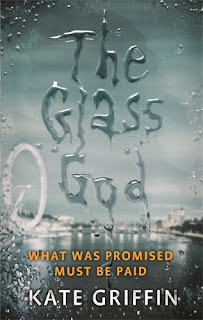 With Magicals Anonymous, Griffin keeps a great deal of the wonderful features of her previous, Swift-focused series – the setting of magical London, even the presence of characters like Swift himself (though Penny Ngwenya is sadly missing from this one!) – while telling stories that Swift never could. Not least the mystery of his own disappearance! But these other features don’t detract from the central fact here: that Sharon Li is an amazing protagonist. She’s forthright, forceful, likeable and even downright optimistic – something that’s become a little rare with the recent trend towards darker fantasy. That’s not to say she’s not a complex character, but seeing a magical London from the point of view of community support is definitely different from that of an urban sorcerer – and just as fun. The plot is likewise an intriguing one, and Griffin, as always, carries it off smoothly – with one or two minor stretches. Without spoilers, the tendency of certain characters revealing key facts to be silenced, or only reveal a few cryptic words becomes a little overstated, and there is a moment which comes off – to me – as a deus ex machine. That said, it’s after the main thrust of the resolution, so doesn’t ruin the climax, just coming off as a little unlike a character’s abilities in previous books. Belief still firmly suspended! …and I have to admit, Kelly (another recurring character, and Matthew’s assistant) and other such familiar faces add as much as ever. Rhys, and his and Sharon’s convincingly awkward relationship, is a perennial favourite! While not painted in such detail as in Stray Souls, Sharon’s shaman mentor Sammy is also a lot of fun – loud, impatient, and seemingly with a bad history with most groups in the city. Overall, Magicals Anonymous is rapidly growing into one of my favourite series. 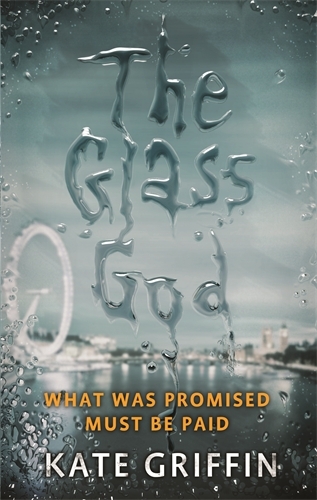 While Sharon Li in Stray Souls was definitely an interesting character, The Glass God definitely sees her hit her stride as a hopeful yet strong protagonist with a unique approach to negotiation (mainly involving an invitation come along to the titular Magicals Anonymous) – refreshingly different to Matthew Swift. It’s imaginative as always, and a few minor plot problems – and an action of Kelly’s which seems to require a follow up/character development, but never receives it – can’t counteract the fact that this is definitely a very worthy read. Basically? It’s a wonderful read. If you’ve read Stray Souls, save a space on your shelf for this one, because it’s one of the best I’ve read this year. I nominated you for the Shine On award! See the rules at the following link!